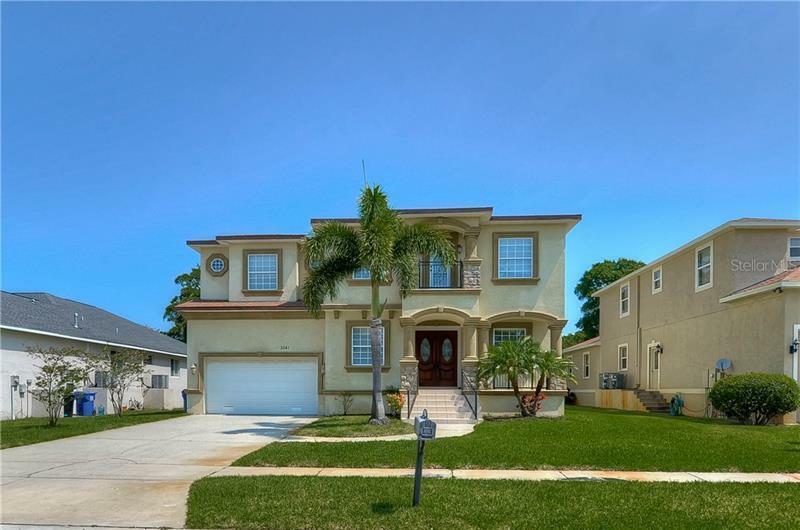 BETTER THAN NEW this 5 bedroom 3.5 bathroom home is a MUST SEE!! Located in the popular subdivision of La Collina you'll love the artisan collection of homes this builder has created. <> The chef's kitchen boasts beautiful 42" wood cabinets, upgraded stainless appliances including a GAS STOVE and granite with an amazing tile accent wall! The ample cabinet space will be perfect for all your baking needs and has a large walk in pantry as a bonus. Main living areas downstairs have gorgeous 20" tile for easy maintenance and clean up. The downstairs MASTER bedroom is large enough for the biggest of furniture. The master bath has a double vanity, nice finishes and ALSO has access directly to the utility room. Doing laundry won't be so bad after all! Upstairs has a large BONUS room for your TV room or playroom. The additional 4 bedrooms are upstairs and are all oversized. <3 of them also have walk in closets! !> There is a nice screened in patio for evening grilling. This home has many extras as well like a Culligan Water Softener, upgraded alarm and alarm pad, brick paver driveway and mud room with desk area perfect for bills or homework. The Clubhouse has amazing amenities such as a resort style pool and cabana, 2 dog parks, and a playground. La Collina is conveniently located just minutes from the Crosstown Expressway, I-275, restaurants, shopping and major employers. Come check out this beauty today!